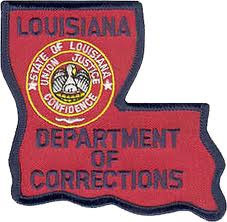 The following list of prisons and jails in Louisiana contains useful information for anyone who has a loved one incarcerated in Louisiana. Using the links below you can get the visiting hours, procedures and rules for sending money, mail and packages to inmates. Users can also find other information such as how to search the inmate database, make phone calls and more. If you can't find the answer to the question you have you can post it at the bottom of the facilities page and our staff will quickly work to get you an answer. While we strive for accuracy in all the information we provide, we ask that all our users verify the visiting hours with the institution prior to their visit due to the fact that some facilities visiting hours change frequently. On the off chance that you notice we have made an error on any of our pages please let us know by leaving a comment and we will quickly work to correct it.